One of Hitler’s Command cars currently on display at the Canadian War Museum in Ottawa, Canada. Additional Information After coming to power in 1933, Adolf Hitler and his National Socialist (Nazi) Party imposed a ruthless dictatorial system on Germany. 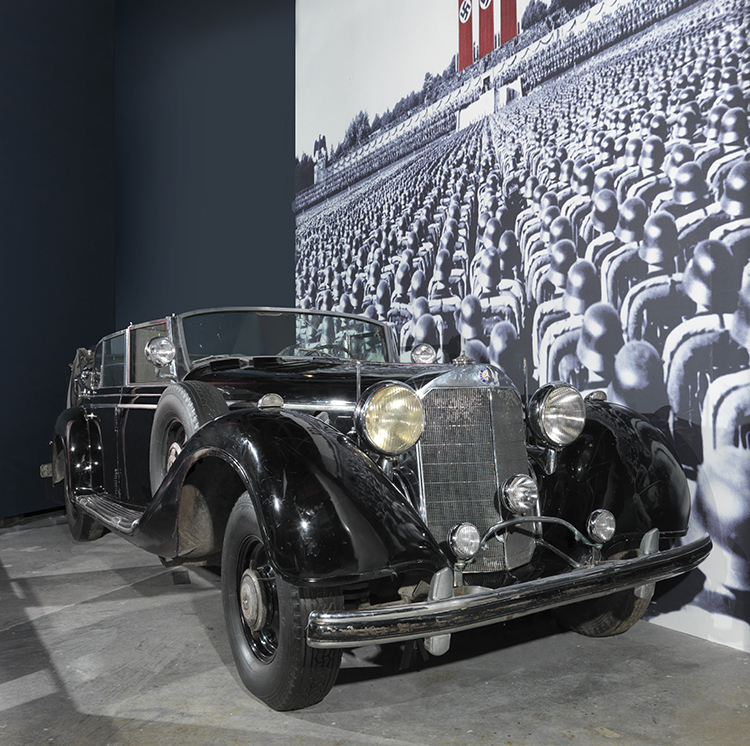 This black armoured Mercedes Benz limousine, which Hitler used as a parade car, helped to propagate this regime's image of strength, power, and modernity. Captured by American troops in 1945 and brought to Canada a few years later, this car recalls one of history's most brutal and murderous dictatorships.